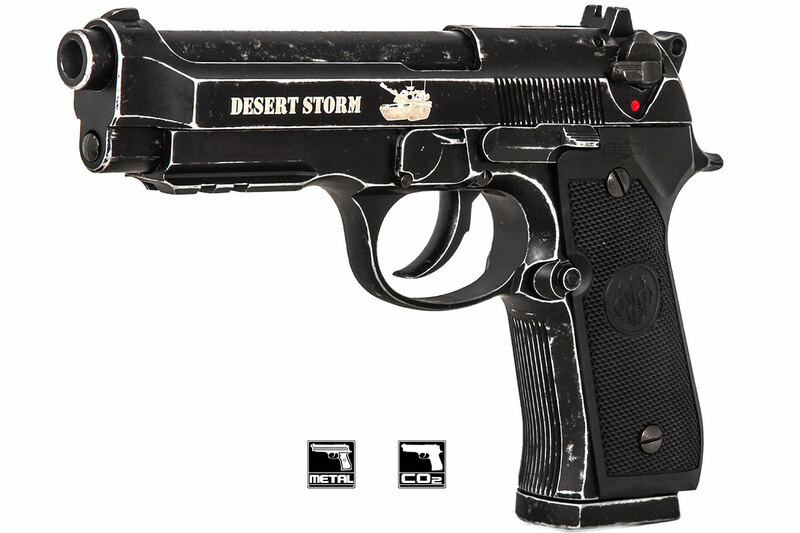 From the creators of perhaps the most well known Co2 airsoft gun ever made comes the Commemorative Desert Storm edition Elite Force Beretta M92A1 airgun, Based on the larger than life M9A1 service pistol, which has been in service with the United States Army for more than 30 years. 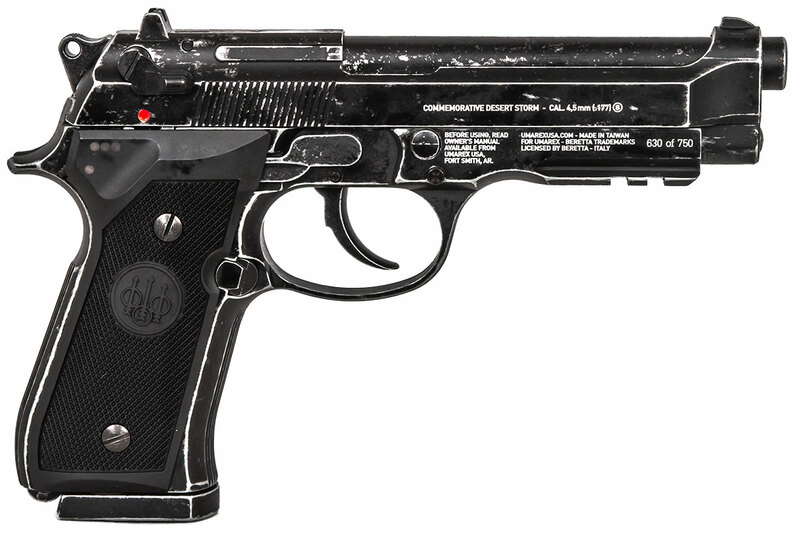 Constructed completely from metal, the M92 has a very hefty weight and realistic feel. Since the gun is Co2 powered, the extra power helps move the metal slide, which produces a very snappy and satisfying recoil with every single shot. The sidearm is also equipped with a 2 slot picatinny rail along the bottom of the frame, making attaching lights and lasers easy and hassle free. 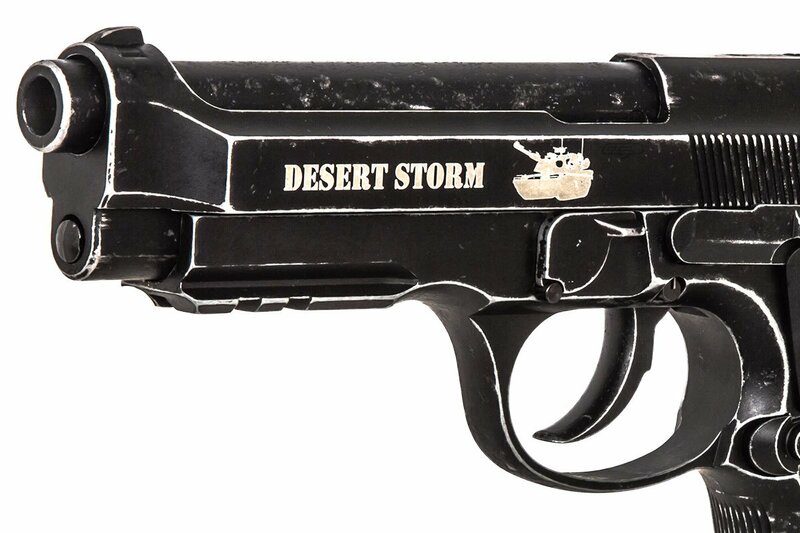 On the Desert Storm edition, Elite Force has put a "Battle worn" finish on each of these airguns, which makes each one a little different and unique. 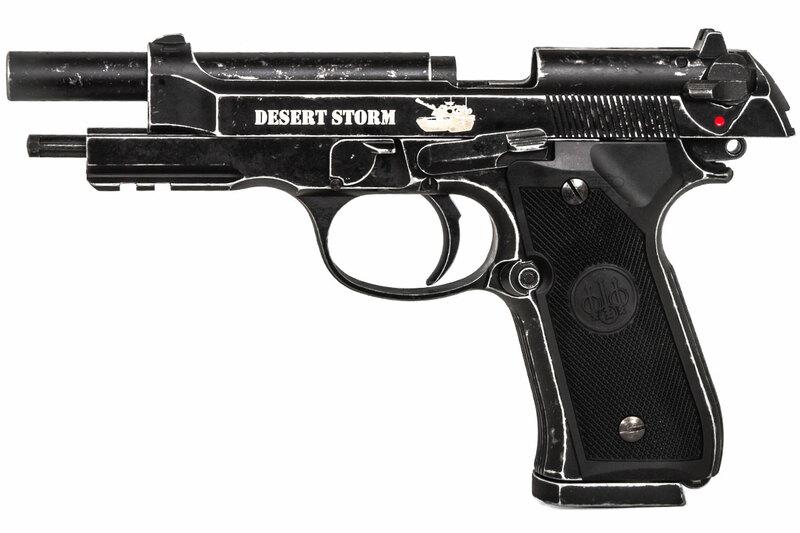 With all the great features you expect in an M9, Elite Force has included one new feature that makes this gun a truly unique piece; a full auto switch. 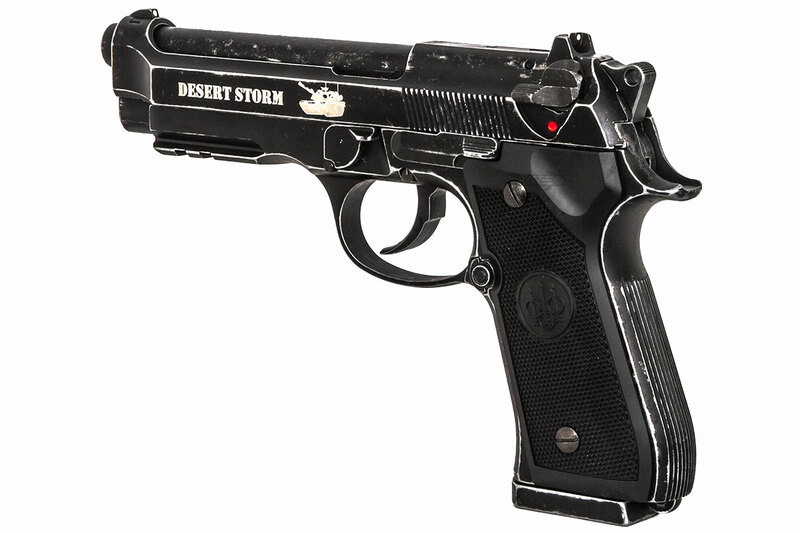 Located on the right side on the gun, just below the safety lever, the tiny switch allows you to turn your reliable plinker into a fun hose at a moment's notice. 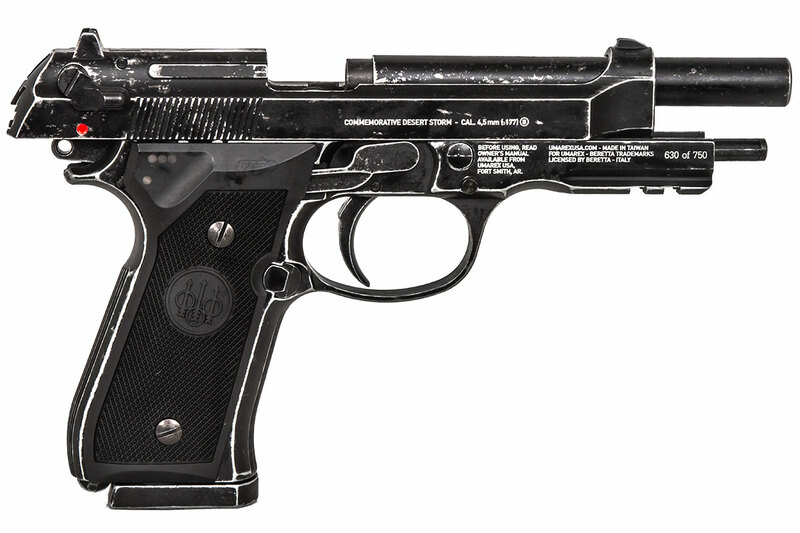 Solid performance is also to be expected, as with Elite Forces other handguns. These are .177 caliber bb guns, not to be confused with an airsoft gun. These are intended for target shooting only. Airguns / pellet guns are NOT designed to shoot at human targets. 12g CO2 Cartridge is NOT included. 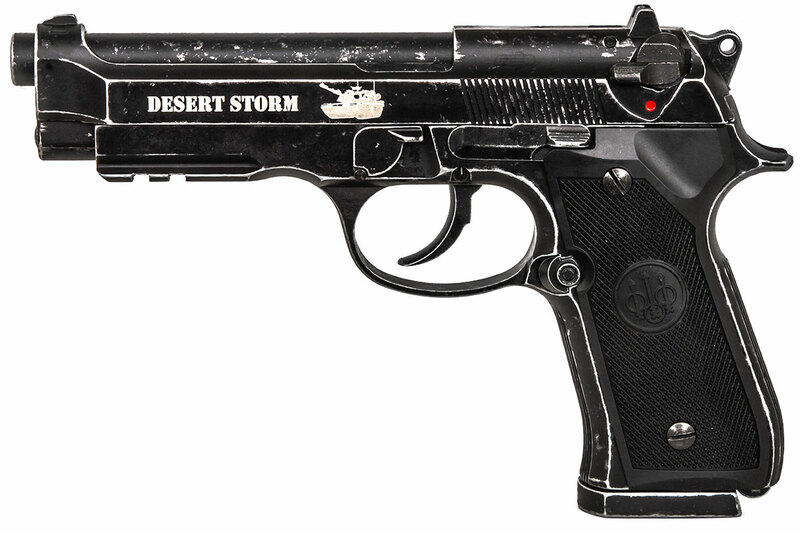 Only 750 of these airguns were produced. If you scroll to the bottom of our website, under the information tab will be all the shipping rules. Can this accept an pistol lanyard? This model should have the loop on the bottom to utilize a pistol lanyard.